There are more wild rumours floating around the aviation industry this week that European planemaker Airbus is finally ready to call time on the A380 production line. The latest raft of speculation and gossip came after the Australian airline Qantas confirmed on Thursday that its outstanding order for 8 Airbus A380's had been cancelled with the manufacturer. A spokesperson for the carrier said, "These aircraft have not been part of the airline's fleet and network plans for some time," whilst confirming the 12 operational A380's it currently flies will be refurbished and upgraded beginning later this year. It's understood that Airbus CEO Thomas Enders personally spoke with Qantas execs regarding the withdrawal of the order, although this has not been confirmed. 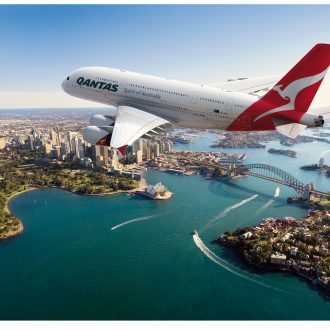 Qantas is moving away from the larger aircraft in favour of the ultra-long-range type of craft as it seeks to open the London - Sydney route direct non-stop before the end of 2020. The Qantas cancellation comes just days after the A380’s largest customer, Emirates, began discussions with Airbus regarding switching all or some of its outstanding A380 orders to smaller models like the A350 after its talks with Rolls-Royce on powerplants for the double decker ended without a satisfactory outcome. How long the slowing production line for the A380 can remain open is, according to some industry commentators, around two to two and a half years at the most. Unless of course a surprise order suddenly arrives to rescue the giant bird. If Airbus moves on the price it charges for a new A380, perhaps the cancelled Qantas ones could end up with IAG's British Airways or even budget brand Level! A French avaition consultant has even mooted the possibility that it is Airbus that is contacting various customers of the A380 and asking them to switch to other types, so the firm can end production of the type earlier than anyone expected.